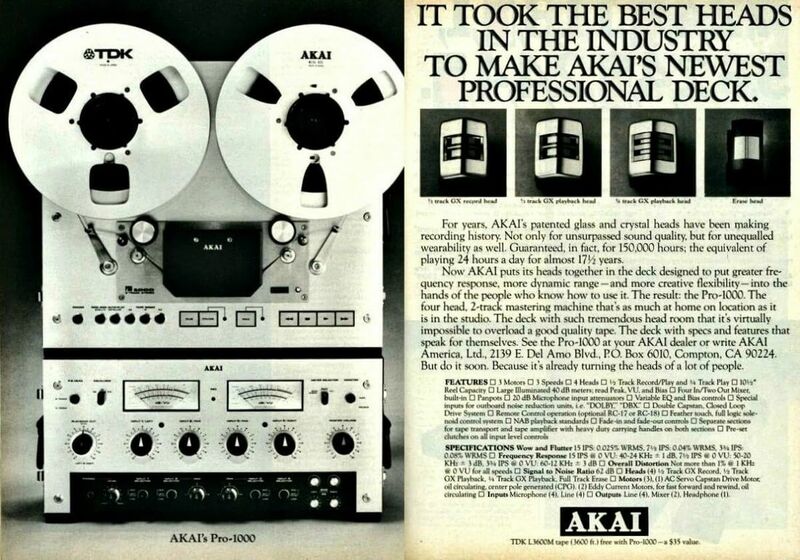 ​The AKAI PRO 1000 from 1977 is a magnificient two-box rarity with impressive technical specifications that unfortunately didn't sell too well. 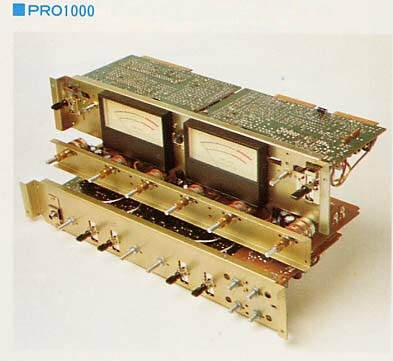 The AKAI PRO 1000 features a 3-Motor/Double-Capstan tape transport system. For the capstan drive, this system uses an AC servo motor with a built-in CPG (Center Pole Generator) to provide smooth, stable operation while two 6-pole eddy current motors are emplyed for the left and right reel drives. Due to the high quality mechanism of this machine, tape speed deviation is +/-0.5% and wow and flutter is 0.025% WRMS at 15 ips. Excellent sound quality can be obtained at either 15 ips, 7-1/1 ips or 3-3/4 ips speed. 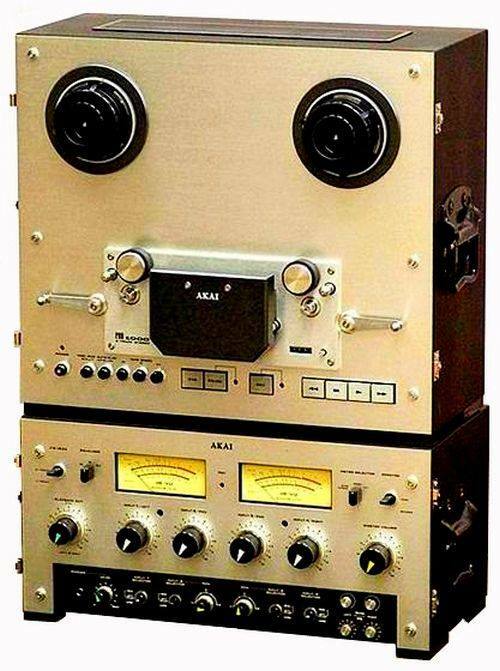 The AKAI PRO 1000 is a four head, 2-track mastering machine that's as much at home on location as it is in the studio. 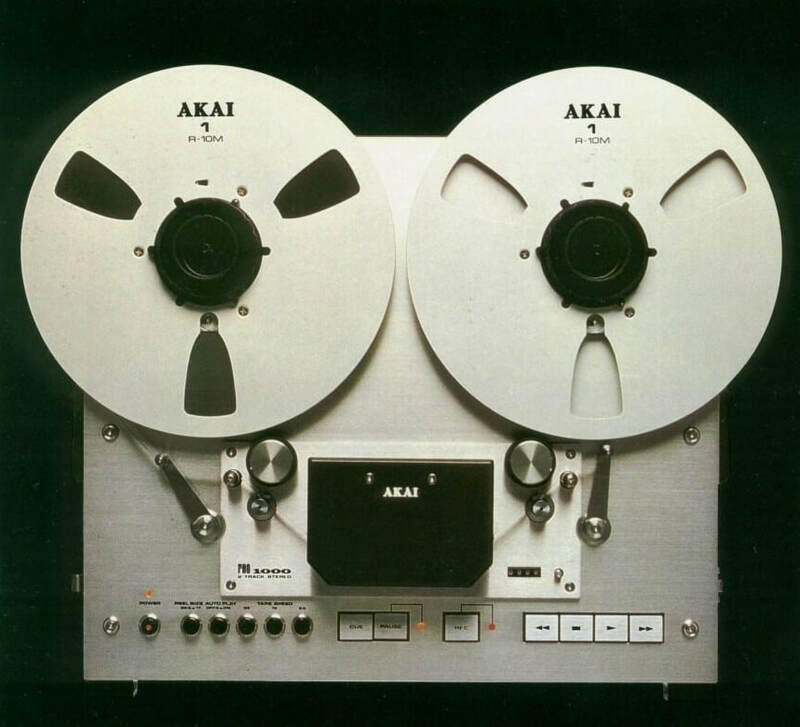 A 2-track recorder will only record a tape one direction while the tracks are wider for higher quality. 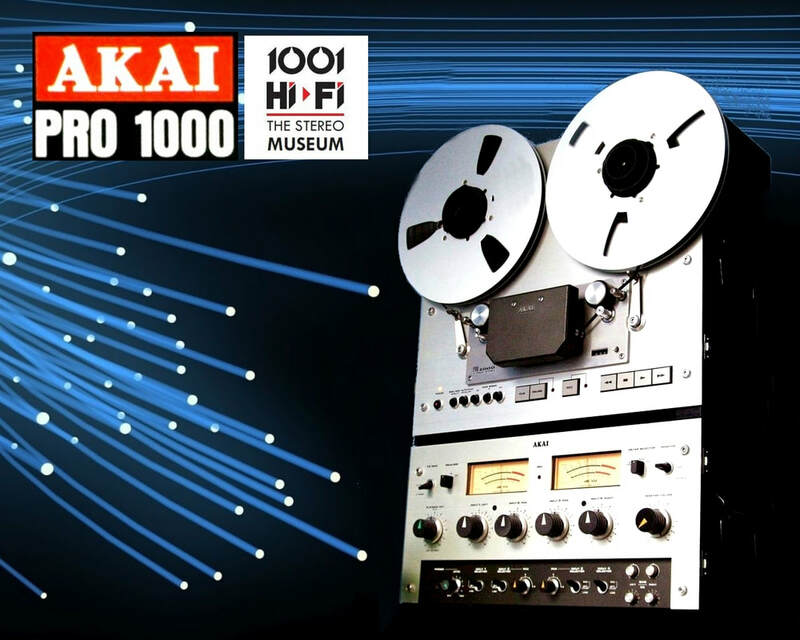 For further compatibility the AKAI PRO 1000 features beside the 1/2 track GX record and 1/2 GX playback head a 1/4 track GX playback head for compatibility with tapes recorded on 4 track recorders. 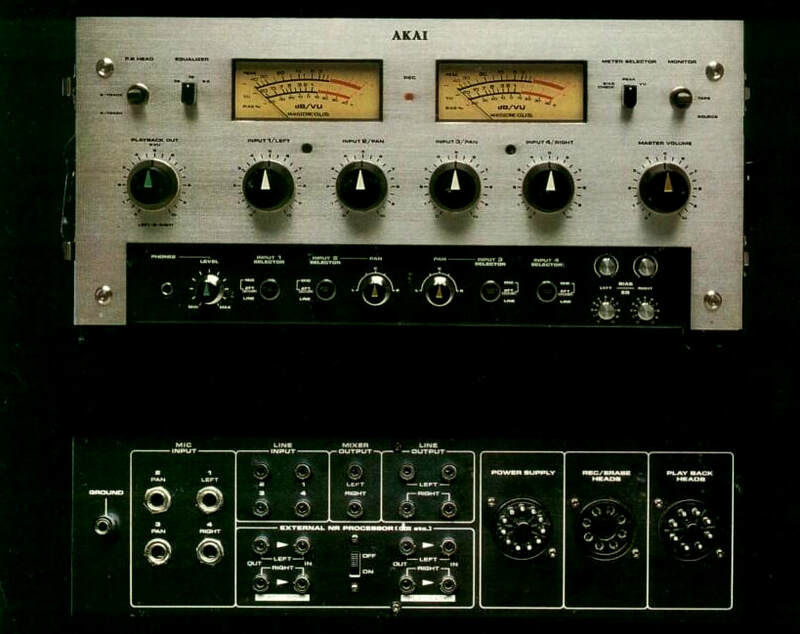 Two large meters can be switched between peak level or VU meter but they can also be used as Bias Check display. 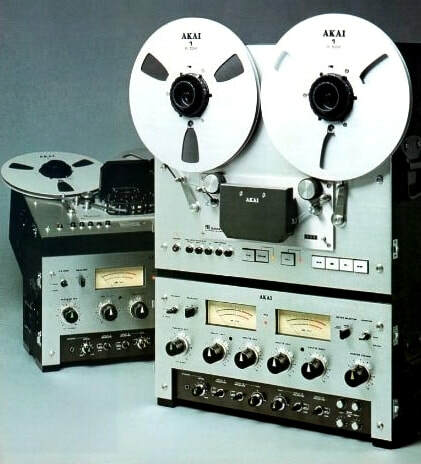 Setting the meter changeover to Bias Check, the meters will indicate the amount of bias thus making the setting for various tape formulations extremely simple. 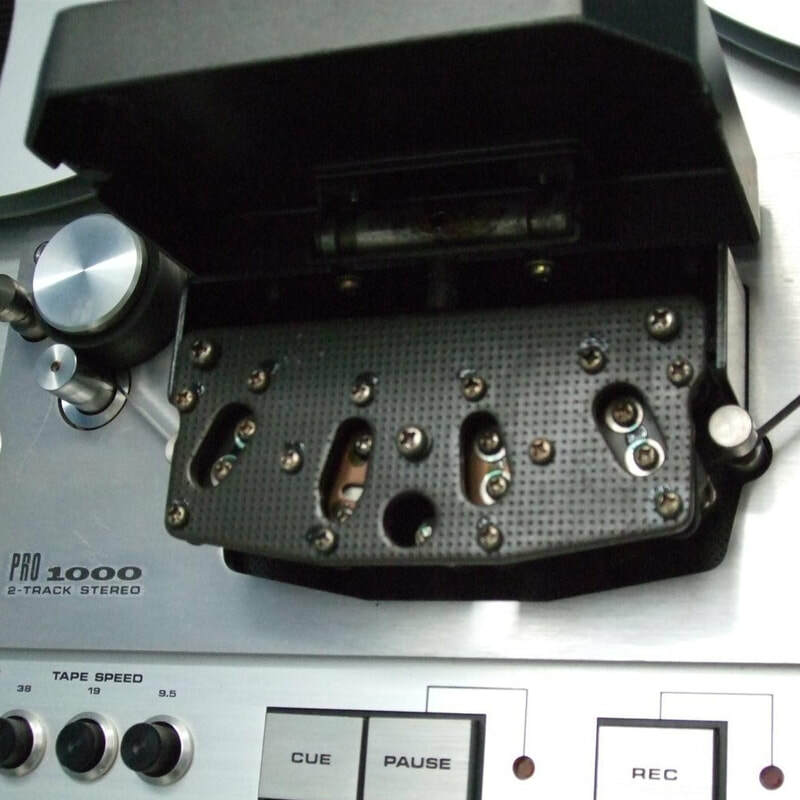 The standard level (center click-stop) was calibrated to match Scotch #206 tape while the continuous adjustment for bias (+/-40%) brings out the full characteristics of every tape.